Every now and then I get into this mood that I just want new makeup brushes. Sometimes I don't even know what ones I want but I know that I'm going to be online with my bank card beside me ready to order some. Thats exactly what happened a few weeks ago and I decided to order these Real Techniques imitation Bold Metal brushes. Obviously when waiting to receive them I was expecting them to look nothing like the Real Technique Bold Metal brushes but much to my dismay the design was pretty identical. The handles are long coming to a point at the bottom. 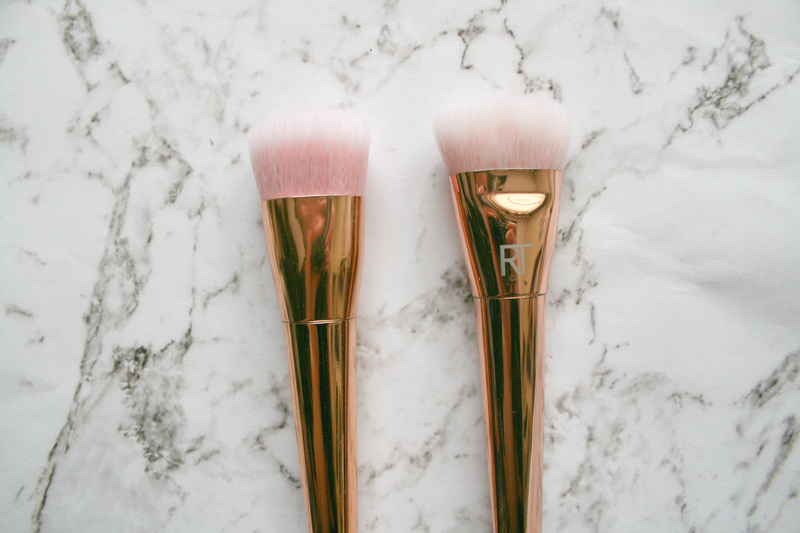 While the RT range only have two rose golden brushes this whole set features the colour which definitely doesn't bother me! The bristles also fade from a pinky gold colour up into the white bristles just like the real ones. The only difference here is the brushes are missing the numbers and the RT printed on them. They also dont have the weight the Bold Metal brushes have which again doesn't really bother me all that much. I've previously bought brushes from eBay and I'm always pretty impressed with them. When these first arrived I couldn't get over how soft they were and I couldn't wait to see how they applied and blended products. Obviously I had to wait a few days to use them because I had to take photos of them first #bloggerproblems. When I finally did get around to using them I was so over the moon at how well they worked. They blended and applied products so well you honestly wouldn't think you were using brushes from eBay. I honestly don't have one brush that I didn't like using. The best part of it all was I got all 7 brushes for only €6! I had been planning on buying the actual Bold Metal brushes as I already have one and do love it but I'm so over the moon I picked these up instead. They saved me so much money and work just as well! 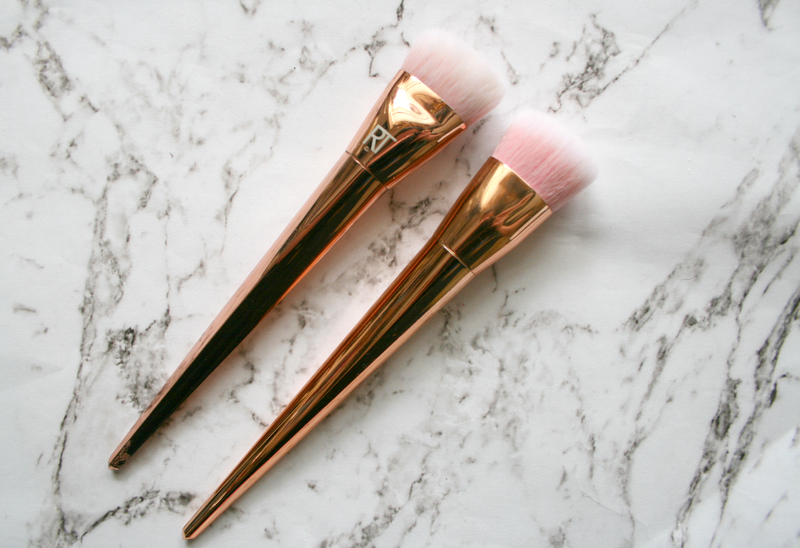 You can also chose rose gold, gold or silver to receive the brushes in and its of course free shipping. You really just cannot go wrong. As I don't have all the actual Bold Metal brushes I was only able to do a picture comparison of the contour brush, but I thought it would be good to include so you would see just how much of a difference there is between the two. So stating the obvious, the colour is slightly off. It's not as rose golden as the Real Techniquess Bold Metals, however it is a very close shade, the Real Techniques just seem to be much deeper in shade. Another thing you can immediately notice is the difference in width where the brush is. The Bold Metals brush is much wider allowing the brush to be a little bigger than the eBay version. The eBay version colour change in the bristles also carries on a lot longer than the real version. And as previously mentioned the Bold Metals brush has a weight to it so that when you set it down it will not move, the eBay version is very light and has no weight to it, and lastly the eBay version doesn't have any writing printed onto it. However for a set of brushes that cost me €6, these differences really do not bother me in anyway at all! 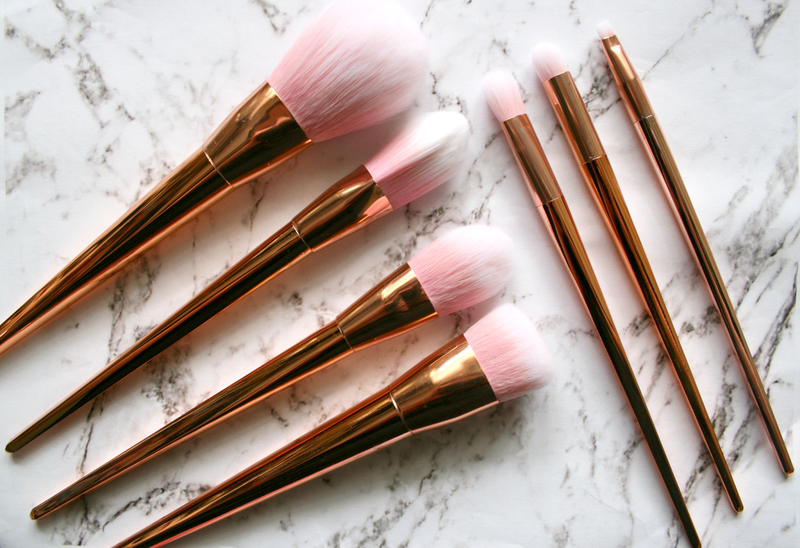 The brushes work really well in applying and blending products and I really have nothing to complain about when it comes to the set of 7 brushes. I'm definitely going to order myself another set for the price because really it would be rude not too! 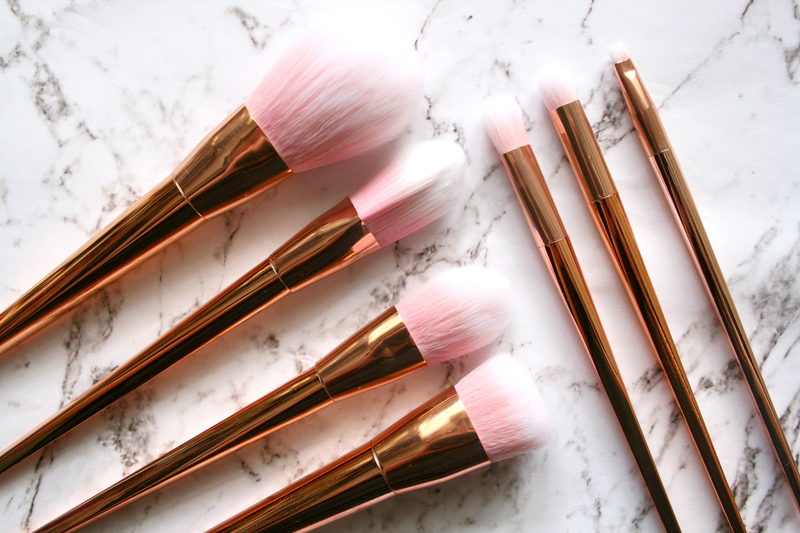 The link to where I purchased these brushes is here! 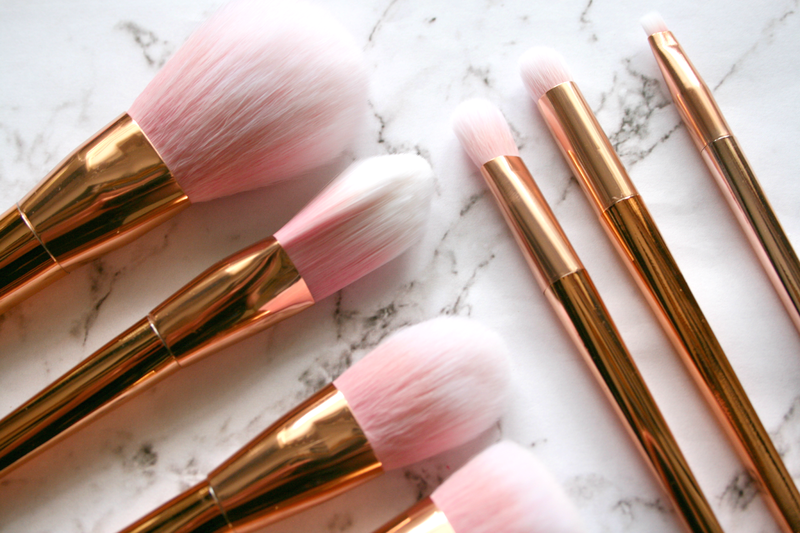 Have you tried any eBay brushes lately? Great post! Think I might buy these now, they sound amazing! Thats amazing - they almost look identical, I never think of looking on eBay for brushes, I'm going to pop over there and have a look now! These look so nice! I'm always drawn to the RT brushes but the price is a bit excessive. These are almost identical and they sound just as good! I'm really tempted to get these now because they're a good price and look really pretty. I don't feel it's worth the money spending awful amounts on one brush!